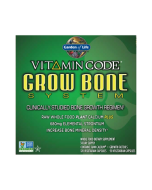 Vitamin Code Grow Bone System—a clinically studied bone growth regimen. 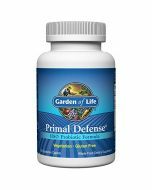 If you are one of the millions of women and men looking to slow normal bone loss that comes with aging, Garden of Life® has great news for you. Get ready to experience the Grow Bone System with RAW Calcium™ and Growth Factor S. The Grow Bone System is intended to stimulate bone growth, increase bone strength and bone mineral density, and has been clinically demonstrated to do so. 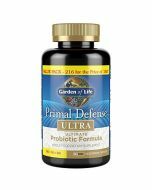 Backed by human clinical studies, Garden of Life is confident that the Grow Bone System will help build stronger, healthier bones. Vitamin Code Grow Bone System includes 756mg of raw whole food plant calcium plus 680mg elemental strontium to increase bone mineral density.† It contains Vitamin Code RAW Calcium, the first RAW whole food plant calcium formula with 1,600IU vitamin D3, RAW MK-7, magnesium and boron that is free from crushed rock, limestone, chalk or animal bones. It also contains Vitamin Code Growth Factor S—680mg of elemental strontium, a critical bone-building trace mineral. The Grow Bone System starts with Vitamin Code RAW Calcium formulated with AlgaeCal RAW Clinical Strength. 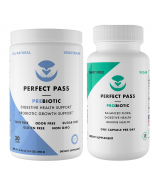 This patented ingredient is an ocean-derived raw, whole food, plant-form of calcium, naturally rich in 73 bone-building minerals and trace elements. 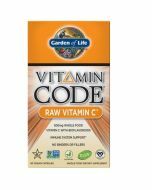 In order to maximize the benefits of Vitamin Code RAW Calcium, Garden of Life has added powerful minerals such as raw magnesium and boron.† Finally, live probiotics and enzymes are added to the product as well as raw fruits and vegetables, for what could be the most complete whole-food calcium supplement available today. Adults take 4 capsules of RAW Calcium™ daily. For best results take 2 capsules with breakfast and 2 capsules with lunch. Take 3 capsules of Growth Factor S in the evening on an empty stomach. These two products are not meant to be taken at the same time of day. Capsules may be opened and contents added to water or juice. Gluten, dairy, soy allergens, binders and fillers. Not for children, pregnant or nursing mothers.